“Pale and listless” children are the real-life victims of Tory welfare cuts, the president of the National Union of Teachers says in a newly released Redfish documentary. Under the Tories, who have been in power for eight years, it’s now estimated that 30 percent of children – 4.1 million minors – are now growing up in poverty. A UK teachers union reported earlier this year that nearly 90 percent of teachers find it “all but impossible for them to teach,” and often have to provide their pupils with basic necessities such as food, clothes and sanitary items. “We’ve got teachers and staff paying for kids to have lunch out of their own pocket. That cannot be right in a country like this where we actually have a lot of money. “The onus is on schools to try and deal with those problems and yet funding to schools is being cut as well. It’s really hard. 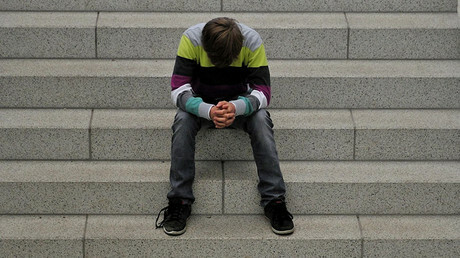 If you’re a teacher in school, you see on a daily basis these children, you notice these children are pale and listless. You’re going to notice the signs of poverty in the classroom,” Tunks said. The newly released documentary examines the lives of families who are grappling to make ends meet amid billions of pounds worth of cuts to benefits at the hands of the Conservative government. 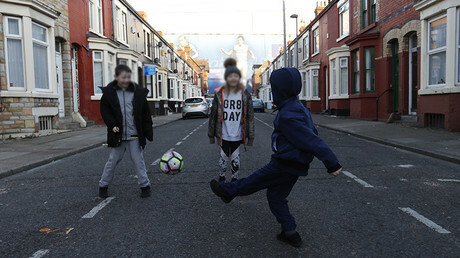 In light of warnings of an “emerging child poverty crisis,” investigative journalist Yasmin Vanselow meets families, school teachers and youth workers to discuss the plight of Britain’s youth. Producer Liam O’Hare told RT that he hopes the film can counter the negative connotation usually attached to those reduced to poverty. “People living in poverty are often depicted as scroungers or unworthy of help. But the reality is altogether different. These are ordinary people doing everything to make ends meet but struggling due to a state which exhibits a conscious cruelty to those on benefits. “In making the film, we travelled across to various cities in the UK and found the same story everywhere. Rising levels of poverty, handouts for children at school, and a fear that the situation is only going to get worse,” he said. “It seems clear that these issues have been exacerbated by austerity policies of the Conservative government. The deliberate choice to cut spending on public services and welfare has had a devastating impact on communities across Britain. “Hopefully the film can shine a light on just how tough life is in Britain for many families,” O’Hare added.